ProSource adjustable weighted vest is designed for both men and women and to bring exercise to a new level. The weight adjust simply by adding or removing individual weight packs to a desired weight, up to 20lb. Perfect for a variety of exercises and all Athletes, no matter what the sport is. Football, basketball, baseball, body-building, crossfit, running, strength training, boxing, wrestling, mixed martial arts and more. View More In Weight Vests. If you have any questions about this product by ProSource, contact us by completing and submitting the form below. If you are looking for a specif part number, please include it with your message. 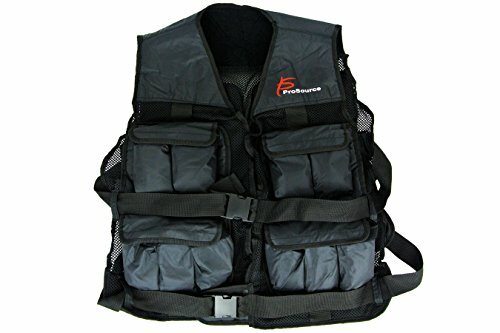 ZFOsports 30LBS Womens Adjustable Weighted Vest With Phone Pocket & Water bottle holder. CROSS101 Adjustable Weighted Vest Camouflage Workout Weight Vest Training Fitness, 20 lb.